The epitome of girly dresses! 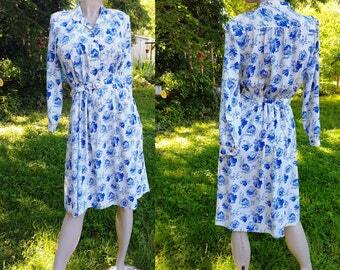 This floral 80s dresses buttons all the way down the front with delicate swirly buttons. 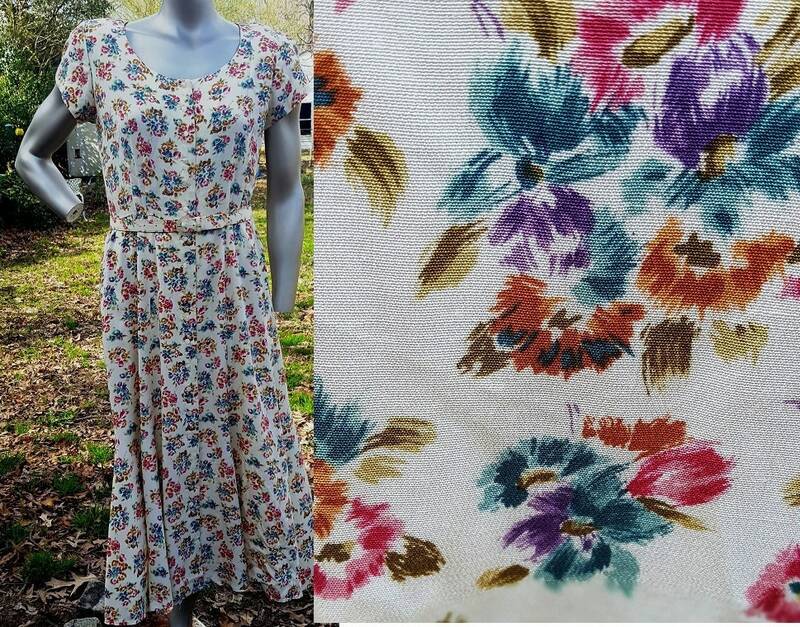 So perfect for spring and summer...Easter too! 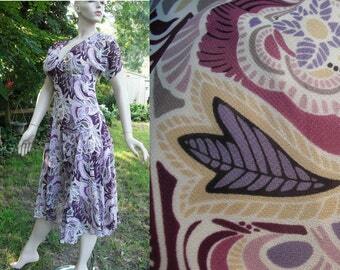 Colors on this vintage dress by Liz Claiborne are beige (background) teal, purple, fuchsia, brown and moss green. 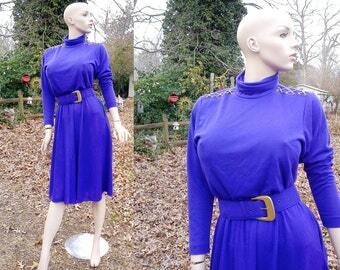 Belted with matching belt with D shaped buckle. Easy to remove shoulder pads. 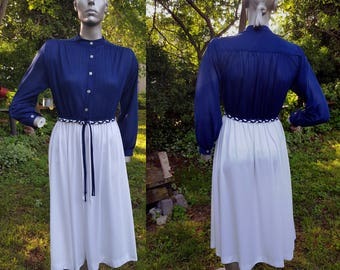 Care tag says dry clean, but I might be tempted to hand wash, but test on the shoulder pad first, to see if color will run.